Many in the British press, as well as some western politicians, like to cite the peace agreement in Northern Ireland as a way of pressuring Israel into making concessions to the Palestinians. 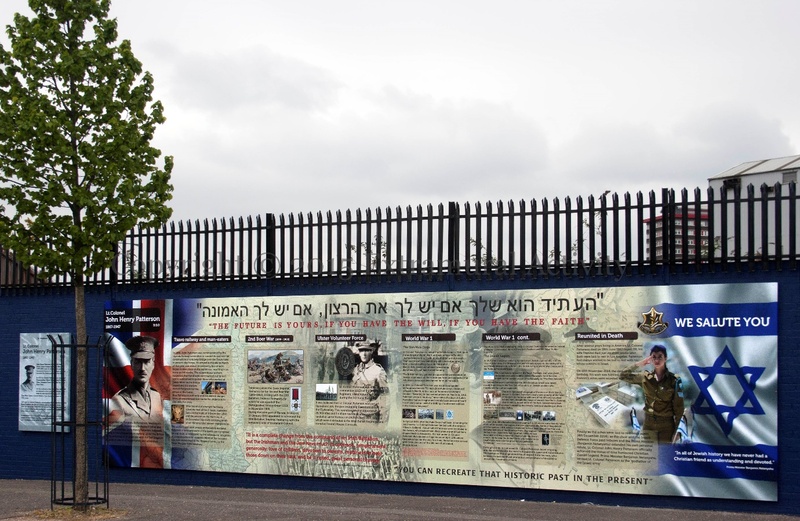 Those following that line of thought claim the conflict in Northern Ireland is similar to the one in Israel, and as a result, the Good Friday Agreement can be used as a template for Israeli-Palestinian peace. There are undoubtedly some similarities between the two conflicts. Indeed, many in Northern Ireland believe the conflicts are particularly similar. One can walk the streets of Belfast, the Northern Irish capital, and see dozens of Israeli and Palestinian flags. But why, in a place seemingly so far away from the Holy Land is there such an intense focus on the Israeli-Palestinian conflict? 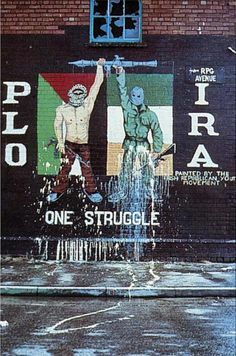 Firstly, many Republicans, who believe Northern Ireland should become part of the Irish Republic, identify strongly with ‘the struggle of the Palestinian people’. Republicans often see the situation of the Palestinians as very similar to their own. When questioned by the BBC for a documentary on the link between Northern Ireland and Israel-Palestine, one Republican interviewed said he felt like “a second-class citizen in the land of my birth”, something he claimed Palestinians also feel. Moreover, Republicans identify British control over Northern Ireland as an occupation which, according to many Republicans, intrinsically links themselves to the Palestinians, as two people putatively living under ‘occupation’. 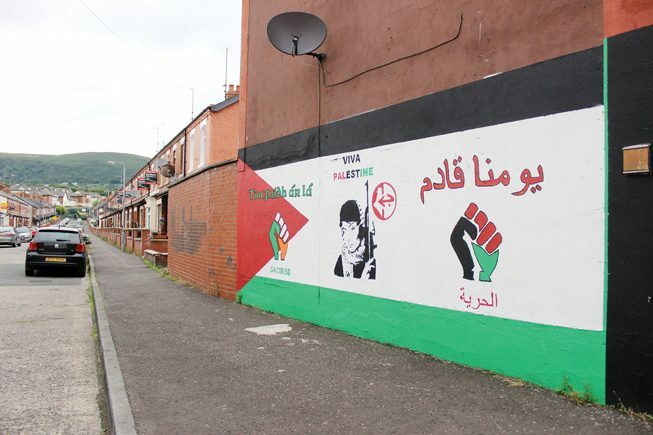 As a result, tens of Palestinian flags and murals fill the Catholic Republican areas of Belfast, and pro-Palestinian activism is very strong. 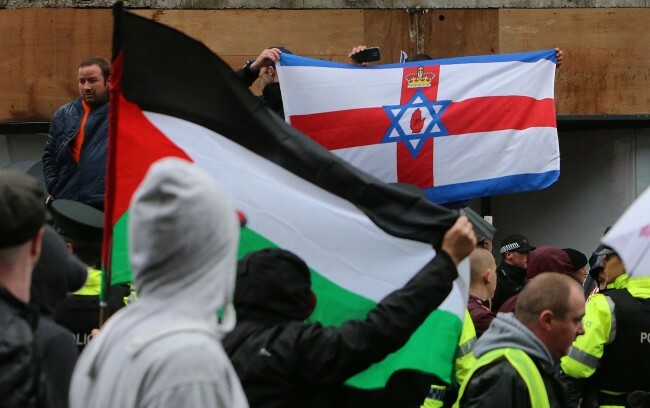 In contrast, in part due to the connection between Republicans and the Palestinians, Protestant Unionists, who are loyal to Great Britain, tend to identify strongly with Israel. Many Unionists claim to see a strong similarity to Palestinian terrorist attacks against Israelis and IRA terrorism aimed at Unionists. Unionists interviewed for the BBC documentary also said they saw similarities in how Israel and Unionists are portrayed in the media, with one saying, “Israel receives criticism it doesn’t deserve, we in Northern Ireland receive criticism from all around the world which is not deserved too”. 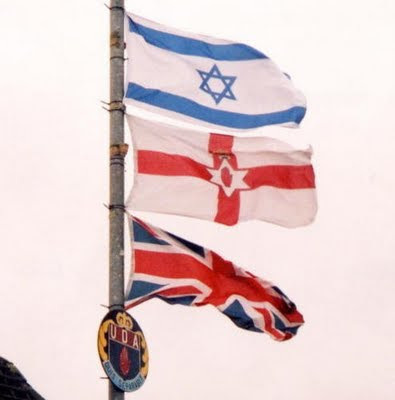 The Unionist identification with Israel means the Israeli flag is frequently dotted around the Protestant areas of Belfast, often flown alongside the British and Unionist flags. So the links are clear, but does this mean the Good Friday Agreement can be used as a template for advancing Israeli-Palestinian peace? Though many like to link the Republicans’ struggle for independence to the Palestinian one, the differences are stark. Not once did Ireland ever wish to annihilate the United Kingdom, yet this is what the Palestinians and surrounding Arab states attempted to do to Israel for decades. In addition, the Good Friday Agreement did not require the United Kingdom to give up territory that would leave the country just nine miles wide at its narrowest point, and leave all its major cities vulnerable to rocket fire. Moreover, at the time of the peace agreement, there was not a terror organization seeking genocide against the Protestants from a group with significant support within the Catholic population. Yet Hamas, which controls Gaza and has stated it would refuse to accept any Jewish state regardless of any agreement signed between Israel and the PA, would win a significant number of seats if new Palestinian elections were held. In short, the peace agreement in Northern Ireland did not force the UK into taking risking its very existence. In contrast, any peace agreement between Israel and the Palestinians would unquestionably involve enormous security gambles. The other link many use to compare the two conflicts involves the role played by religious differences between the two sides. Yet the demands of the Republicans were far different to the current demands of the Palestinians. On top of the creation of a Palestinian state, many Palestinians still demand the ‘Right of Return’, which could allow millions who are considered Palestinian refugees to move to Israel. If this were to occur, there will no longer be a Jewish state, and that would be the end to Jewish national self-determination. In contrast, on top of achieving a ‘united Ireland’, Republicans were never then demanding of Great Britain that the Protestant majority country should be forced to accept millions of Catholics, which would then significantly change the demographic make-up of the country. Though some may argue the Good Friday Agreement between the Republicans and Unionists shows, at least, that its possible to reach peace even within the most intractable conflicts, the more we focus and try to compare a conflict 2,500 miles away from the Middle East, the more we push away the chance of a real lasting peace. Foreign politicians and the international press must address the issues at hand, continued Palestinian rejectionism of a Jewish state and endemic incitement to violence in Palestinian media and education. Only when these key issues are addressed, can we move forward toward a lasting agreement. The Republicans fundamental assumption that underlies their affinity and support with the Palestinian Arabs undermines their claim to make Northern Ireland part of the Republic. The Arabs are in the Holy Land and claim sovereignty over it because of their 7th century imperial conquest. They have no other basis for that claim. Therefore, the Republicans accept a premise that justifies the continuing British presence in Northern Ireland. Why the Republicans don’t identify with the Jewish people is a mystery – especially given the tradition that the Irish are one of the “lost tribes”. After all, the Irish and the Jews are the indigenous people in their respective lands. That said, the Jews successfully expelled the British from the Holy Land and resurrected their ancient language while the Irish achieved only a partial expulsion and struggle with Gaelic to this day. Perhaps the antipathy is a relic of centuries of Catholic antisemitism, perhaps it is jealousy that the Jews accomplished far more than they or perhaps it is a remnant of left wing politics of the ’70s which resulted in coordination between the IRA and PLO. Who can really say? What is clear (at least to me) is that Irish support for the Arab cause makes their claims to Northern Ireland untenable. It is just another example of special rules that only apply to the Jewish people. 1) media constantly portraying Palestinians as the oppressed victims, which plays into their identity as people who stand up for the oppressed and downtrodden. 2) Plain old wanting to do the opposite of whatever the other team does. If the loyalists are for it, it must be oppressive therefore they want to be against it. I wish people all over the world would bother to do some due diligence regarding the supposed victimization of Palestinians instead of believing whatever they hear. I also detest the whole simplistic urge to do the opposite of whatever the supposed enemy does. In the US, there are Democrats who I believe are primarily opposed to Israel because they see it as associated with “the religious right” and therefore icky. It’s long past time for them and many others to grow up.